Mysimba is a prescription-only anti-obesity medication developed in the USA by Orexigen. The company was founded in 2002 and their only other product is called Contrave. However, Contrave and Mysimba are identical. Both products contain the same two drugs, but the combination is distributed in the USA under the Contrave brand name and Orexigen has chosen to market the product as Mysimba in Europe and the UK. 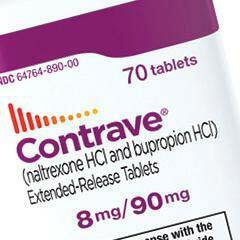 Mysimba and Contrave contain Naltrexone and Bupropion. The latter is an antidepressant that can also help smokers become ex-smokers by helping to suppress the urge for nicotine. Naltrexone is an anti-addiction medication, but both posses limited appetite suppressing abilities which appear to be slightly enhanced when they are combined. The combined abilities of the two drugs provided by the Mysimba diet pill affects the way the brain and central nervous system regulates energy expenditure (calorie usage), the appetite and food cravings. Orexigen state their research shows the combination of Bupropion and Naltrexone helps people to lose weight because Bupropion boosts dopamine levels in the brain. Some diet supplements are designed to provide hunger suppression in a similar manner because dopamine levels are known to effect the appetite. However, Bupropion only works in this way for a limited amount of time and the appetite suppressing effect diminishes with use. Orexigen have conducted trials that suggest Naltrexone can help Bupropion to keep on working for longer and has the added benefit of making sweet food less enticing. Usage Guidelines – intended to be used alongside a calorie-restricted diet. Regular exercise is also recommended. The pills have to be taken with water and should be swallowed whole. 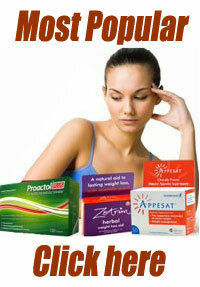 Chewing the pills or allowing them to dissolve in the mouth increases the likelihood of side effects. The dosage is increased on a weekly basis until the maximum dose of four pills per day is reached. A number of studies have been conducted and, in one clinical trial, 50.8% of Mysimba showed a 5% bodyweight reduction at Week 16. This is interesting, but many over-the-counter supplements can do a lot more, so we are not particularly impressed by this result. 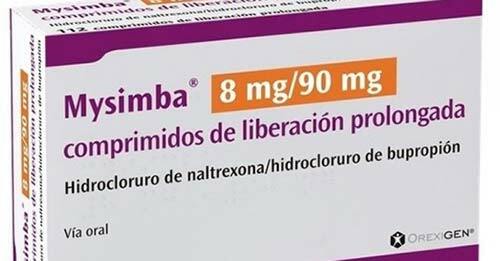 The combination of Naltrexone and Bupropion incorporated in Mysimba diet pills is not suitable for women who are pregnant or nursing a child. It can also interact with some medications and may aggravate certain medical conditions. 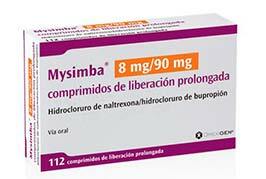 Some Mysimba users may experience side effects of a more dangerous nature, including liver damage and suicidal tendencies. When Mysimba was first sanctioned for use in Europe, health watchdogs were appalled and stated the low level of benefits provide, coupled with the relatively high risk of side effects, make use of the medication”too risky for only modest weight loss“. Mysimba is obviously capable of helping people to lose weight, but the amount of weight loss reported suggests the medication is not as powerful as some dietary supplements. Side effects also appear to be a big problem for a lot of users. Most other prescription-only weight loss medications, including Phentermine and Orlistat, are known to cause side effects as well, and the amount of weight loss they provide can be quite modest, so Mysimba is probably no better or worse than the other offerings doctors are allowed to prescribe. However, good diet pills, like PhenQ and Capsiplex, can provide dieters with better results and do not offer the same range of side effects. Bearing in mind the fact that these products also come with a money back guarantee, they are easily the more sensible option.